There is a bomb on top of a computer. Around the computer there is a phone, a hairbrush, keys and a cup. When the explosion comes which item is destroyed first? 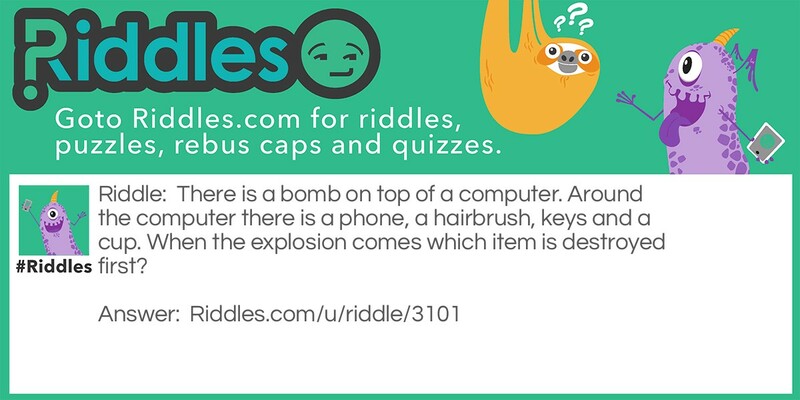 The bomb Riddle Meme with riddle and answer page link.